The Good, the Board, and the Ugly is the antithesis of an echo chamber. On the contrary, its cornerstone is diversity in game taste. Among the hosts and wide range of regular guests, you are guaranteed to hear not only an approximation of your own viewpoint but its polar opposite, as well. All contributors share a passion for gaming and a desire to delve deep into discussion. Brief host bios: Andrew Denison prefers heavy, complicated games and has been earned the nickname "the Mathochist". Opaque, economic, Trent Hamm, the "Game Mage" has been gaming for decades and plays every type of game out there, Ameritrash, Euro, family, economic, you name it: Trent plays it. Except Splendor. Trent HATES Splendor. Speaking of hate, host Joe Sallen loathes game altering randomness, fact which many believe characterizes him as a Eurogamer. In his view of the existential debate of gaming, mechanisms come before theme. Come celebrate the ever expanding world of tabletop gaming with the GBU! Additionally, get the most from your time spent gaming with help from The Sallen Coefficient, a video review series by Joe Sallen. In each video, Joe explores multiple aspects of the game and how they contribute to its overall efficacy as entertainment. The eponymous Coefficient refers to the depth of a game in relation to the time you'll spend playing and learning it. Joe challenges himself to delve deeper than ever-present subjective qualifiers like "fun", "good", and "I like it" that require the audience to have prior knowledge of the reviewer's tastes. Each video review will leave you with a profound understanding of the game and, most of all, an idea of whether or not to bring it to your table. And now for something nobody asked for! Joe reviews the Oracle of Delphi and Jimmy Dean Breakfast Frittatas. This is not even close to a top ten, due to the egregious amount of honorable mentions. A Flight Plan of Gaming Personalities. Trent gives his top ten games of 2018. Trent, Andy, and Joe talk about the way choice of words can reveal a gamer’s perspective. The Council of Four is intact for a discussion about behaviors that can draw players into the Black Hole of Gaming. You thought you were going to get board games from a tabletop podcast? No No No! GBU puts on their Chicken Little crash helmets and discuss whether or not the sky is falling on board games! The Four Horsemen of the Apocalypse welcome a fifth: Ted Castronova, designer of 2040 American Abyss, an expansion map for Andean Abyss. What’s ESSENtial at Essen 2018? Come find out with Joe, Trent and Andy. The Good, The Board, and The Ugly gives these games the second chance they deserved! Tips for First Time Game Teachers from The Good, The Board, and The Ugly! The Good the Board and the Ugly #180: Game Roast! The Good, The Board, and The Ugly is pulling a 180 and roasting each other’s favorite games! 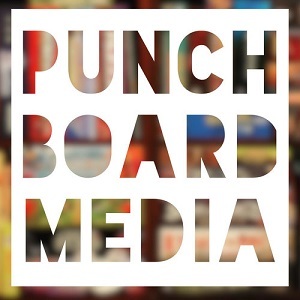 David joins TC, Andy, and Joe again as they debate the merits of digital board games.